The actor will present his two directorial features at the Music Box. 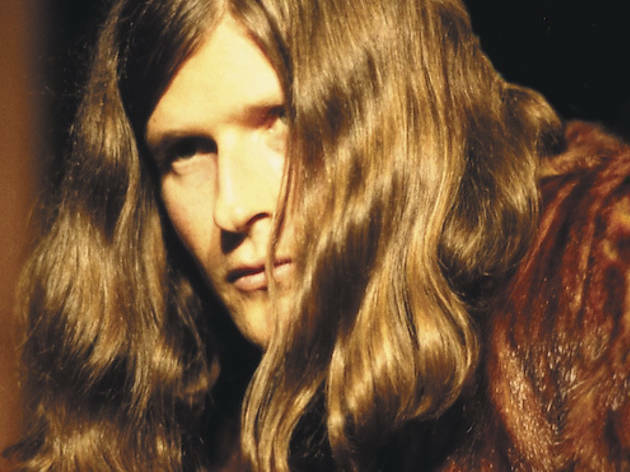 Those who hurled after seeing Crispin Glover’s unclassifiable, unendurable directorial debut, What Is It? (2005)—in which a cast with Down syndrome salted snails and faced off against the protagonist’s “hubristic, racist inner psyche”—will remember Steven C. Stewart. He was the actor with cerebral palsy who lay in a clamshell getting jerked off by a woman in a monkey mask. But it’s worth keeping an open mind about Glover’s follow-up, which Stewart (who died in 2001) wrote and stars in. Audacious and in its own way quite moving, It Is Fine! Everything Is Fine (2007) is the fever dream of a confined man. Glover will present his movies, along with what he calls his “Big Slide Show,” at the Music Box this weekend. Let me address the comment about shock value. What Is It? is my psychological reaction to the corporate constraints that have happened in the last 30 years, wherein anything that can possibly make an audience member uncomfortable is necessarily excised. That’s an extremely damaging thing, because it’s that moment when an audience member sits back in their chair, looks up at the screen and thinks to themselves, Is this right when I’m watching? Should the filmmaker have done this?… They’re having a thought process that on some level is educational. It Is Fine! began long before What Is It? Steve had been born with a severe case of cerebral palsy, and he was very difficult to understand. When his mother died in the early ’80s, he was locked into a nursing home. The emotional turmoil he must have gone through for that decade I can’t even begin to imagine. But when he got out he wrote this screenplay, and he wrote it in the style of a 1970s TV murder-mystery movie of the week wherein he’s the bad guy. His emphasis was that he was a person with a disability, but a person, and a person can have dark thoughts. It took ten years—or even more—before we shot it. I shot with Steve on What Is It? in 1997, and then one of Steve’s lungs collapsed in 1999 or 2000. It became apparent if we didn’t shoot something soon, we may never get to shoot anything at all. Within a month after finishing the shooting, I got a call from a hospital in Salt Lake. Steve’s lung had collapsed again, and he was basically asking for permission to take himself off life support—if we had enough footage to finish the film. A coworker of mine said she once saw you driving a hearse around Salt Lake City. Was that related to Steve’s death? Because I’ve played kind of crazy characters, and the media and the films that I’ve made all sit in this realm of unusualness, people will say things—they’ll kind of err on the side of craziness when they talk about me. What she probably did see me driving was a 1966 Checker Marathon. It’s actually not a Checker Marathon; it’s a Checker A12. The same car that Robert De Niro drove in Taxi Driver. Not a hearse. I’ve heard that a lot. I’ve heard people say that they’ve seen me drive a hearse. 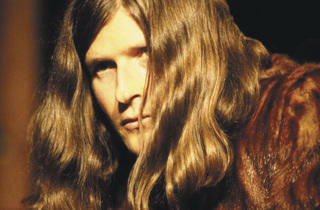 Crispin Glover will appear at the Music Box Friday 13 with It Is Fine! and Saturday 14 with What Is It?